Jameson Lopp, a SegWit2x opponent, BitGo engineer, and the creator of statoshi.info, has offered a $100,000 reward to anyone who provides information leading to the arrest and conviction of the person who made a fraudulent police report in October claiming he had killed someone at Lopp’s house in Durham, NC and was holding people hostage, drawing a SWAT team to the scene. Lopp announced the reward in a Medium article detailing his response to the Oct. 16 incident. The false call was believed to be a result of Lopp’s public statements about the block size debate. The caller told 911 he shot someone at the house, was holding hostages and had explosives unless the police gave him $60,000. Lopp, who was not home at the time, was able to convince police at the scene that the report was false. Lopp suspects the attacker struck on Oct. 16 after he tweeted that he just woke up and there was still a whole month of SegWit2x drama ahead. He noted the attacker likely thought Lopp was in the house since the tweet said he had just woken up. If Lopp had been home, contact might not have been made with the SWAT team in time to prevent an unfortunate incident from occuring. People on both sides of the block size debate condemned the use of violence at the time. While the 911 caller never stated his motivations, many have speculated it was related to the bitcoin scaling debate. Once the news crews left the scene, Lopp sent out a tweet to advise the attackers they had failed in their efforts. Someone then replied to Lopp via voicemail from a phone with a New York area code saying the next time, they won’t involve the police if he did not get his $50,000 in bitcoin, although the caller left no an address to send the bitcoin to. The Durham police traced that call to a throwaway server in Texas. Had a few variables been different, Lopp said he could have been killed. He blames law enforcement for creating an exploitable vulnerability. Lopp cited an incident in Wichita, Kan. when on Dec. 28 a man was shot by police who were responding to a reported hostage situation. That unfortunate incident, in which the officer who fired the fatal shot never considered that the 911 call was fake, was the result of a dispute among virtual gamers. The calls were made to the Wichita police from Los Angeles by someone who made it appear as if the calls were coming from Wichita. 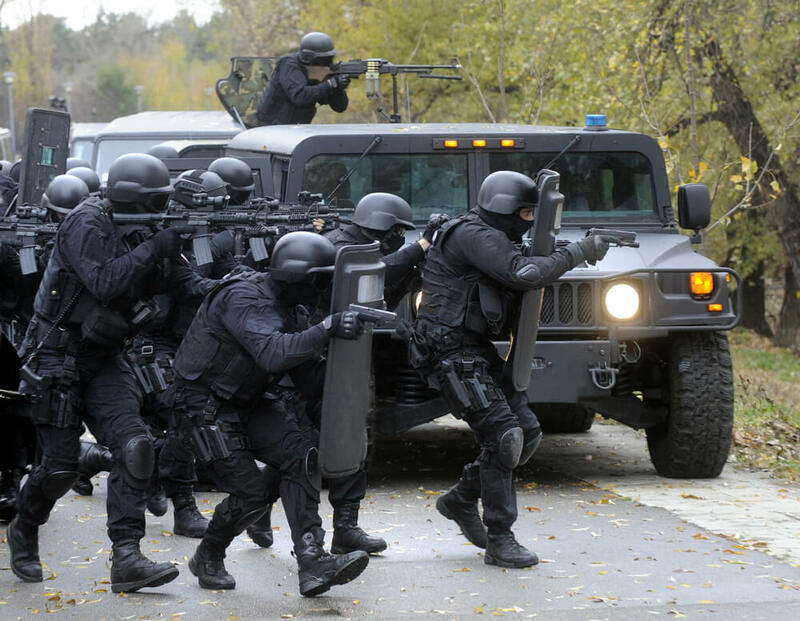 “The militarization of police combined with nonexistent authentication creates a great environment for SWATing,” Lopp stated in his Medium article. Lethal force can be deployed against an arbitrary target by a single anonymous phone call, he stated. He said it should not be possible for someone to deploy lethal force without any risk. To remedy this, he thinks police should recognize SWATers will make calls from outside the target’s locale.